Q: Book review blogs have gained massive popularity over the last five years. How has the blogger/author/publisher relationship changed over time? Where do you see that relationship going in the future? Gabrielle Gantz is the Associate Director of Publicity at St. Martin’s Press and over the years has had the pleasure of working for Penguin, Picador, and McSweeney’s. You can follow her on Twitter at @contextual_life. It’s funny you ask this question. Within the past few months I think I’ve said, “back before blogs were big . . .” to at least two people on two separate occasions. Both times I was explaining how things have changed over the years and how people take online book coverage seriously these days, or, to be more accurate, there’s been a growing appreciation of digital media. It wasn’t too long ago that blogs were first gaining traction and getting on the radar of book publishers – maybe 10 or so years ago. At that time, there were only a few people within the publishing houses who were well-versed in the world of online book coverage. I don’t think I ever heard any naysaying but there were a lot of polite nods and blank stares. When blogs started to take off there was The Millions, It’s funny you ask this question. Within the past few months I think I’ve said, “back before blogs were big …” to at least two people on two separate occasions. Both times I was explaining how things have changed over the years and how people take online book coverage seriously these days, or, to be more accurate, there’s been a growing appreciation of digital media. It wasn’t too long ago that blogs were first gaining traction and getting on the radar of book publishers–maybe 10 or so years ago. At that time, there were only a few people within the publishing houses who were well-versed in the world of online book coverage. I don’t think I ever heard any naysaying but there were a lot of polite nods and blank stares. When blogs started to take off there was The Millions, Largehearted Boy, Maud Newton, and a handful of others that I’m not remembering at the moment. When publicists would present their titles in weekly sales and marketing meetings the early adopters to the medium would mention blog coverage. Everyone listened but it was still The New York Times, The Wall Street Journal, and NPR that made people take notice. Now, Slate, Salon, The Daily Beast, and the like hold just as much weight as national print newspapers. I know that Boing Boing and Maria Popova’s Brainpickings can do amazing things for a book – sometimes more than a print review can. Those sites have dedicated audiences who trust the editors and writers. It’s like a friend telling you the new awesome thing they just found. Going back to 10 years ago, if an imprint was lucky they had someone in publicity or marketing who was aware of blogs and could connect with the editors and writers. Now, many publishers have departments devoted to online coverage. “Digital” started to creep into the front of job titles over the past couple of years. At the very least it’s expected that each publicist and marketer have a working knowledge of the major sites. I can’t imagine someone getting very far in the industry if they overlook websites and blogs. I only see this relationship growing stronger. Major publications and TV and radio networks have blogs on their sites offering more space to books that otherwise wouldn’t have gotten any coverage. Digital media is a saving grace and I hope we see more of it in the years to come. Rabindranauth (yes, that’s his real name) is your typical Indian stereotype without the accent and more cynicism. He’s a fanatical fantasy reader and progenitor of dubious reviews at Drunken Dragon Reviews, a mostly but not entirely fantasy reviewing blog based out of the only South American country you’ve never heard of unless you’ve played Pokemon. He tends to spend too much time reading and not enough time being an active member of the human species. The factor at the heart of both relationships (bloggers and authors, bloggers and publishers) is the stratification that’s been occurring due to the exponentially growing number of active blogs. Over the last few years it’s become clear that book blogs are Legion. As with every economic situation where supply is in excess and consumer numbers are limited, you’re faced with a product problem. Or to use a local phrase, how do you separate the sheep from the goats? Visibility is the name of the game in the age of information inundation, and it’s also the measuring stick by which authors and publishers choose blogs and bloggers to use to promote books, barring relevant factors like ideology and reputation. So where do you get the most bang for your buck, if you’re an author or publisher looking to increase your product’s visibility? Shipping out review copies is an investment and in business you always want the maximum return possible for the minimum practical investment. Publishers are first and foremost businesses – it only makes sense they’ll send out material where they’re most likely to receive returns on their investment. Authors on social media to promote their work will naturally be more flexible in this regard, willing to interact with less-visible bloggers, but it doesn’t change the fact that the higher profile you are, the more attention you’re likely to receive by both authors and publishers. As a result of the ever-increasing number of blogs, we’ve got stratification occurring – book blogs are falling into easily identifiable categories which go on to (further) determine their relationships with authors and publishers. You’ve got the higher profile blogs which mostly focus on the latest releases, with massive followings which get swamped up to their ears in more material than they can probably parse. You’ll often find the bloggers at the heart of these projects have good, close relationships with numerous authors. On the other end of the spectrum you’ve got the hobbyists, casual readers and ideologists who focus on more esoteric, less commercially oriented branches of the genres that receive little to no promotional material and pretty much only hear from authors if we linked them to our reviews. Of course, none of this is entirely ossified – blogs rise and fall in visibility and attention, authors may develop/have existing relationships with particular bloggers, incidents may lead to publishers distancing themselves from particular individuals. But in general, I think this is how the situation at large has developed over the last few years, with authors and publishers getting stretched thinner and thinner by the sheer number of blogs, many of which developed large fan bases over time, making them commercially more viable to interact with. The question of where it’s all headed is a very interesting one. The relevant factors are going to be visibility, the number of authors and publishers, and finally the nature of blogging itself. For blogs for which it’s an issue, I think it’s only going to get harder to develop a fan base, the newer a blog is. On the other hand, the ease of publishing means more authors and publishers active than ever before. And then finally, there’s the nature of blogging – most new blogs aren’t as socially oriented as the older ones, instead focusing on developing content to attract readers which in time will attract authors and publishers. So how will these factors change the current situation, if at all? I personally think it’ll all stay the same, with only the names of those higher profile blogs being different. Maybe in a few years I’ll read my comments here and laugh at how badly I guessed wrong. Or, guessed correctly. Kevin Bayer has been reviewing science fiction, fantasy, and other genre fiction sporadically since 2005 at SporadicReviews.com. He lives with his wife, three kids, and two cats in the greater Seattle area. I think the relationship between bloggers, authors, and publishers has gotten closer over the past few years and more direct. I’ve been reviewing books and whatnot online for ten years now. When I started I was buying my own books (or picking them up at the library). There were very few sources for review copies or ARCs. The sources that I did find early on that provided books weren’t providing SF/F on a regular basis. After a few years, I started contacting a few publishers directly, asking for review copies and to be put on their review copy distribution lists. Sometimes I’d get a response and the review copy. One particular publishing house added me to their distribution list for about 18 months and sent me several books monthly – most of which weren’t anything I was interested in, but a few were on my radar or others sounded interesting enough that I gave them a read. I also began to receive unsolicited contact from self-published authors asking me to review their books. I took a few up on their offers and found some enjoyable books that way. I even sent Christmas cards to a bunch of publishers and publicity contacts one year in the hopes of getting on their radar, and thanking the ones that had provided me with review copies the preceding year. After a while I stopped receiving those monthly books (that was okay, I wasn’t reviewing most of what they sent me). Instead I started receiving emails from publishers and publicists asking if I was interested in reviewing particular books. That, perhaps, was a big change at least in my relationship with publishers. They started asking me about specific books instead of sending me several unsolicited books. NetGalley popped up around the same time, and I found Edelweiss from Above the Treeline, both sources for review copies. That’s also around the same time I got my first ereader. NetGalley soon became my go-to source for review copies, along with the occasional email to request something specific I couldn’t find elsewhere. Around that same time I started seeing more authors on social media: LiveJournal, Twitter, Facebook. This made the authors themselves available to their fans and reviewers, and made initiating contact much simpler. I think the relationship between bloggers/publishers/authors has improved over the past few years, and will only get better as long as we continue to provide reviews not only on our own blogs and podcasts, but also at Amazon, Goodreads, Librarything, etc. I spend much of my time (and all of my reviewing life) two generations in the past, so my perspective on the reviewer/author/publisher relationship, how it used to be, and where I think it’s going, is a little unusual. Back in the day, professional reviewers were attached to print publications, particularly science fiction magazines. There used to be far more than there are today; in 1953, there were over forty of them in circulation, many of which had book review columns. Some famous names are associated with them: Groff Conklin and Floyd Gale (Galaxy); Anthony Boucher, Damon Knight, and Alfred Bester (Fantasy and Science Fiction); P. Schuyler Miller (Astounding/Analog). So far as I have been able to ascertain, these folks got their books the same way reviewers get them today: publishers sent them advance copies so that their reviews would be published concurrently with the books. Some reviewers had more artistic freedom than others. For instance, Damon Knight resigned his position in 1960 when F&SF’s editor, Robert Mills, wouldn’t accept Knight’s (deserved) savaging of Judith Merril’s “The Tomorrow People.” An independent, like me and so many others, has only her/his audience to worry about. That is, perhaps, the biggest difference between now and then. We write about the topics which strike our fancy, and we may have no relationship whatsoever with any publisher or author. There were unpaid reviewers who wrote for the fanzines back in the day, and their situation was similar, but they had an audience that, at best, numbered in the thousands but more likely was in the hundreds..or the dozens. The modern blogger can potentially reach millions. Back in the day, a reviewer read what was sent to her/him. This wasn’t as limiting as it sounds – there just weren’t as many books coming out. A dedicated reviewer could receive and write on all the science fiction and fantasy printed in a given month. That’s impossible today with so much coming out through both traditional and self-publishing outlets. Any reviewer today is forced to be selective, creating a more eclectic portfolio. Modern reviewers winnow their choices according to their personal taste. I’m forced to limit the scope of what I review because many of these stories simply aren’t available anymore. And even if I can find them, it doesn’t mean everyone else can. What use is my review to them? Some stories, happily, are in the public domain (works published before 1964 which did not have their copyrights renewed in the 1980s). Some stories still under copyright have been made available digitally or in print by the authors or their estates. But there is a frustrating number of works that are still under copyright but have not seen the light of day for decades. A story’s original copyright holder has chosen not to republish it, or s/he may not even be aware that s/he owns it. These works, some of them masterpieces, can only be obtained by spending money (sometimes a prohibitive amount) to secure an original copy. And if you can’t find one, well that’s your tough luck. I often find myself telling my readers all about stories that they simply can’t enjoy. I’m hoping there will be a change in copyright laws that addresses these orphan works. While it’s true that more fiction is produced today than could possibly be read by any one person, that doesn’t change the fact that so much worthy stuff *has* been written. It shouldn’t be lost to the ages. Just because we have JK Rowling doesn’t mean we shouldn’t read Shelley or Stoker. That’s one of the reasons I keep living in the past, writing about and generating interest in these half-forgotten classics. By doing so, perhaps my readers and I can help bring them back by encouraging copyright holders to republish them. Or maybe we can stimulate changes in the current laws to create permanent homes in the public domain for copyright orphans. And then I *will* be able to cover everything! Faye Bi is a publicist at Simon & Schuster Children’s Publishing and Saga Press, and also volunteers for Sirens, a conference dedicated to women in fantasy literature. She tweets at @faye_bi. When I first started working in book publishing back in fall 2010, publicity teams were feeling the full force of shuttering media outlets and the dwindling number of book review editors (not to mention children’s book review editors). On one hand, book bloggers were a breath of fresh air—engaged readers eager to read and review an ARC; on the other, they were unknown. How were they different from consumers we were hoping to purchase the book? Did they fall under the domain of marketing or publicity? How were we going to measure the size of their audience: page rank, unique monthly visitors, Twitter followers or a healthy amount of discussion in the comments? Should we treat them like enthusiastic fans who will advocate for a book in their communities, local and online, or like journalists? Bloggers then began showing up at trade shows, optimizing their web traffic, reviewing for local publications, starting book tour businesses, moderating local events and publishing original short fiction themselves. Depending on the house, the author or the blogger, how we work together still differs. For a debut author, blogger outreach may be how we seed buzz for a book, and he or she may do guest posts or Q&As for 10 blogs or more — and sometimes work with that blogger directly. For the bestselling author who is juggling writing, appearances and edits, we treat any blogger outreach like media: everything is scheduled and reviewed. Particularly in the space of SFF, the lines are so blurred between creator and promoter — editors write books, reviewers write books, authors have review columns and everyone reads. Especially since SFF books historically have not gotten much mainstream media attention (though that is hopefully changing), “bigmouths” will remain on every promotional campaign, whether you’re a blogger, author, bookseller or publisher. If you love SFF books, you’re part of one community. Jacob Stokes is a lifelong reader who was tackling Tolkien while his age was still in single digits. A few years ago he decided to channel his passion for books into a book review website: www.redstarreviews.com He resides in the rather warm state of Alabama with his beautiful wife and their spoiled puppy dog. He can be found on Twitter/Instagram as RedStarReviews talking about books, beers, and life with an excitable puppy. When I was a child I loved reading Isaac Asimov’s work. I always wished I could chat with him about his stories. I knew this would be next to impossible, but wished for it still. About the only way I would be able to have that interaction would be to go to a book signing and then I’d gain a few moments with the author. That was the life of a reader before the Internet when there was a disconnect between the industry and the audience. The ability that readers/reviewers now have to connect and communicate with authors and their publishers is unparalleled. It is amazing and it has changed the face of the industry. Social networking now allows you to get a glimpse behind the scenes of the writing and publishing process, and to communicate with the people that make it all work. Now anyone who has access to the Internet has the capability to interact with the authors they love, to chat with them about stories or shared interests. To connect in a way that just wasn’t available when I was a child wishing I could chat with Asimov. As a result the book blogging industry has taken off! It is a growing and vibrant community that serves a valuable niche in the book industry as it can provide a platform for authors to advertise and reach a broader audience than ever before. When used correctly I think it deepens the relationship between authors and readers. I do feel that it has greatly enhanced the reading community as it draws us together. As for what the future holds I think that the continued development of the reader/writer/publisher relationship opens the door to works of greater diversity being brought forth and finding their audiences. Jen is a German book blogger. She reads and reviews mainly YA fiction and has a special soft spot for everything Sci-Fi. You’ll find everything from discussions about the newest books to blogging tips on her blog http://thebookavid.blogspot.com. When she isn’t reading or working on her blog, you’ll most likely find her on tumblr http://bookavid.tumblr.com obsessing over fictional characters or on twitter Twitter @bookavid, livetweeting her current reads. Every time I see a little button on major publishers’ websites for review requests from bloggers, I’m surprised. It wasn’t always that way. Bloggers just had to send out a friendly email and maybe got a review copy in the mail 2 weeks later. It’s definitely a recent development that bloggers are starting to work with publishers and are taken just as seriously as professional journalists. Nowadays we are more and more involved in the publishing process and I love that we get the opportunity to review books early and give feedback. It’s nice to know that our services are appreciated and that our voices are heard. Social media is a very powerful advertising tool and publicists seem to have realized this in the recent years. As bloggers we aren’t seen as people who happen to read and review books in their free time anymore, but as actual journalists and treated equally. Our voices are heard, our critique is appreciated. I think the trend is going towards branching out on all kinds of social media. Now it’s mostly us bloggers with independent reviewing sites who get to work closely with publishers, but I have seen people on other social media get involved as well. Youtubers, Tumblr bloggers, Instagrammers . . . I think in a couple of years all book reviewers, no matter what social media they use, will be treated just like independent review blogs. Every medium has its advantage if used right, and the big publishers seem to be testing out what works for them right now. I think it’s great, it’s a way of giving and getting a little back – I mean, who doesn’t fangirl and feel insanely humbled when they see an email from one of the big five in their inbox? I am positive that the relationship between bloggers and publishers will continue to grow, to everyone’s advantage. 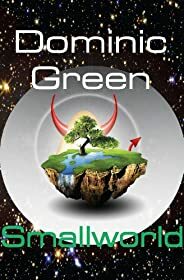 Anya is a book review blogger at On Starships and Dragonwings, reviewing sci-fi and fantasy of all ages. In real life, she’s getting her PhD in computer science and evolutionary biology and loves to teach people how to program for the first time. I’ve been reviewing books on my blog for five years, but I’ve only been working directly with publishers for about three of those years. I also have the benefit of belonging both in the adult SF/F and the YA book blogging communities. In recent years, the number of YA book blogs has exploded, leading to a rapidly shifting relationship with publishers for children’s books. Where previously book bloggers would email publicists directly for every title or simply be sent the full catalogue each season, many publishing houses now have monthly or seasonal forms for bloggers to check the boxes for books of which they’d like advanced copies. While this is nice for efficiency on both ends, I like that publicists for adult titles are still sending individual emails to pitch me books that they think I’d be particularly interested in. There are so many books coming out every week, even after I narrow down to just sci-fi and fantasy subgenres I like, that it is easy for a book to get lost in the crowd even if it would be perfect for me. Having fewer book blogs in the adult book reviewing community means that publicists can still send out those individual emails and do often end up sending most of a seasons catalogue for you to peruse. As for the future, YA isn’t going anywhere and I think that that means more and more YA book review blogs will continue to crop up (yay, new friends!). I hope that more publishing houses go to the form request method if that is what they need to do to keep their publicists from losing it or requests slipping through the cracks (which just encourages us to send more emails, etc.). I’m hoping that as YA book blogging continues to grow, niche YA blogs will become more common place and perhaps publicists to go with those niches. I’d love to go back to having one publicist at a house that handles pretty much all the titles I’m interested in and tells me when there is a dragon book I can’t miss! Adult SF/F, on the other hand, seems to be at either a plateau or slight decline. I’ve seen a lot of the big bloggers that I found when I started close their doors and I at least can’t find lots of new SF/F blogs opening up to keep up the count. I’ve seen a couple of houses try going to a form for adult titles, but so far none of them have stuck to it. I have to admit I enjoy getting surprise review books from adult imprints in the mail, so I hope that that doesn’t change any time soon. Something else to consider for the future is the place for eARCs. Sites like NetGalley and Edelweiss are filled with YA titles and seem to be the main way that children’s imprints deliver advanced copies. This means that you aren’t even getting a form emailed to you, all you have to do is press a button to request a book, never having contact with the publicist in charge of it. It’s understandable that distributing eARCs is cheaper than mailing an actual book, but there have been some issues with eARCs showing up on pirate sites unfortunately. Some publishers are turning to electronic samplers to combat that for very anticipated titles, and I have to admit I’m not a fan of that trend at all. I can’t really review a sampler and by the time the book comes out, I don’t remember the sampled chapters well enough, so I end up wasting time. Physical ARCs are never going away completely since publishers need to reach reviewers who don’t accept eARCs for whatever reason, but with the continual increase of YA bloggers, eARCs for bloggers might be the default going forward. I’d be happy for adult SF/F imprints to shift more towards eARCs, at least having them available at the same time as the physical ARC, since I do love reading in the dark with my backlit screen! Carl V. Anderson is celebrating ten years as a mostly genre-focused blogger over at Stainless Steel Droppings. In addition to blogging on his own site, he is a proud SF Signal Irregular and is an active member of the Spectrum Fantastic Art Live Committee and can be found on Twitter @SteelDroppings. In the early days of book blogging, forward thinking publishers jumped on the opportunity for (relatively) free advertising and that trend has continued to grow. I say ‘relatively’, because in the early days there was the shipping cost associated with sending out physical copies of a book for review. That cost has lessened with the advent of and the nearly universal acceptance of the ebook. Some publishers continue to send out physical Advanced Reading Copies or early releases of the actual completed book, those who do not want to incur that cost have truly benefited from being able to send electronic copies to potential reviewers. I remember a few years back reading statements about book blogs having seen their heyday, but I certainly am not experiencing that in what I see happening in the publishing industry. Go into any bookstore and grab a book off the science fiction/fantasy shelf and you are likely to see a quote from an online source. Several book bloggers, myself included, have experienced the thrill of seeing our words in print on the back, or in a jacket, of a newly released book. While I’m certain that few book bloggers do reviews with that as their goal, it is one of the unexpected pleasures of reviewing books online. And that segues to the reason I think that the publisher/author/book blogger relationship continues to bear fruit: by and large book bloggers are writing about books online purely to fulfill a desire to share a love of reading with anyone who will take the time to stop by. Authors and publishers can take the calculated risk, with little or no financial commitment, to get readers to do a portion of their marketing for them. With blogging software improvements, the ease to share something you write across multiple media formats with the click of a mouse, has meant that publishers and authors (as well as blog writers) are getting several avenues of exposure from just one review. I see that as one of the more exciting changes and one that has seen authors and publishers continuing to see value in this relationship. Publishers and authors no doubt always have seen value in positive reviews, but as bloggers have developed their distinct voices, as well as loyal followings, I think most authors and publishers can see value in reviews that are not full of effusive praise. Many times over the years I have read critical reviews of books that gave me more of a desire to read them than I might have had if the reviewer simply sang the book’s praises. I’ve seen others have the same reaction. The old saw about their not being any such thing as a bad review can find some truth in the idea of the buzz and name recognition that can be achieved by having multiple individuals posting about a book on the various social media sites that people frequent. I’ve seen this as a relationship that has grown over the years, leading to a growth of respect between authors, publishers, and bloggers. I suspect that this will continue. Even if the “blog”, as it currently exists, changes and continues to evolve, I see publishers and authors continuing to see value in cultivating relationships with those who will help them sell books. This question and debate is very familiar to me, even though I’ve only been a published novelist since 2013. For the bulk of my 20-plus-year writing career (yeah, I’m old), I was a journalist, much of which was at The Associated Press. I know this argument well. Whether you’re a genre blogger or a professional journalist – and the line grows blurrier every day – your stock in trade is relationships. In journalism, it is a question of mutual use. The reporter uses the sources, both publicity folk and the newsmakers themselves, to try to break news. In turn, the sources use the journalist to try to control the narrative. It’s about as efficient and practical as it sounds, frankly. That’s why journalists have multiple sources – many of whom may not like each other – and newsmakers cultivate multiple journalists, giving preferential treatment to the ones deemed “friendly”. Now, in genre fiction and on sites like this one, bloggers are indeed journalists, trying to find out information about new books and offer reviews and commentary. Ideally, they’d like to be read and respected by others – something I can absolutely relate to as a former journalist and current author. They want to have good stuff out there, and it’s up to them as to what “good stuff” is. As you might imagine, bloggers are very important to authors and publishers. Bloggers help us get the word out about our books, and they’re absolutely a part of our marketing plans. A good review from a popular blogger or fan site can do wonders for a new release. So am I going to be friendly to bloggers who give me a good review? Well, yeah. Duh. That means the blogger, in my mind, “gets” what I’m trying to do. And so when I have some news, or a new release, I’m going to be darn sure I give that blogger a heads up. Am I going to be friendly to bloggers who don’t give me a good review? Well, honestly, that depends on the blogger. If it’s someone I respect, someone whose reviews are thoughtful and thorough, someone who hasn’t stooped to ad hominem flaming – then yes, I’m going to deal with that and keep that blogger in the loop for future stuff and generally treat them in a friendly, professional manner. If it’s someone who’s given me positive notices before and now gives me a bad review, I’m actually going to pay more attention to that, because I want to figure that out and see whether or where I fell down. In the end, I appreciate bloggers on many levels, well beyond what they can or would do for me and my writing career. Blogging on sites like this one is about a love of books and a passion for writing, and I can sure as hell relate. The vast majority of bloggers I’ve interacted with are knowledgeable folks with well-thought reviews and opinions. They’re fine writers and fine people. Does that create some kind of conflict of interest? I don’t think so. If I write a crap book, I want Paul Weimer to tell me! (Seriously, that dude’s SF/F knowledge is intense.) And I think Paul has enough respect for himself and his readership to give them the honest dirt on my books. I’ve no doubt the vast majority of bloggers feel similarly. You will notice, however, that just as it was only a handful of newspapers (okay, maybe two handfuls) that carried any weight, now it’s a couple handfuls of blogs that carry weight, influence. The Little Guys still aren’t read or respected as they are viewed as having no pull. Which means the little word-of-mouth blog communities also have no influence unless or until what they are saying happens to be picked up, often by accident, by bigger Media Blogs, which can be infrequent or rare. Fun to see this perspective, especially as a relatively low-profile blogger whose been doing this for 10 years now. I’ve seen a lot of ups, downs, comings and goings. In that respect, I disagree with Richard R.’s comment above as I’ve seen my own reviews and thoughts actually make significant impact, though perhaps only noticeable to someone paying close attention. I think it largely becomes an issue what the goal of the blog is and what keeps them coming back with content. I’m sure I could write on this for pages (as we bloggers do love to talk about ourselves), but since I can’t even find the time to regularly update my own blog at the moment, I think I should stop here. I don’t disagree with your overall point, Neth, but from my own personal blogger perspective I’m not sure that level of “influence” matters. Well, not to me so much. I’m sure it matters to authors and publishers, but I’ve certainly never had any shortage of both offering me books and I don’t consider myself having a big influence. What matters to me is that 1:1 influence. If I get one other person to try out something that made an impression on me, then I’ve taken the joy that I get from reading genre fiction and I’ve passed a small flame of that joy to someone else. For example, one of my wife’s co-workers, who has become a good friend, has picked up and read the Expanse series because of my reviews. From that she has passed it on to another. She isn’t the genre reader that I am, but she has enjoyed these and we get to talk about them, and have now had the pleasure of conversing about the pilot episode of the show. My wife and a couple of ladies I go to church with have read The Martian because I reviewed it and linked it on FB. We talked about it, got others there to read it, and have all enjoyed seeing the film and talking about the book to film comparison. If publishers get enough passionate readers to do that, and the only “cost” to them is an emailed eARC, then influence happens on a person-to-person level and the rewards for authors and publishers are worth the continued relationship. Again, I agree that only a handful of blogs have BIG influence that may carry weight as far as publishers/authors using and sharing their reviews, but I do think influence itself is had by all. It all depends on what a reviewer wants to get out of their efforts. We have the same perspective…and have been doing this for about the same length of time. Hard to believe it has been a decade. Wow!